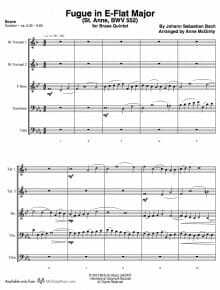 brass quintet | Search Results | McGinty Music, LLC. 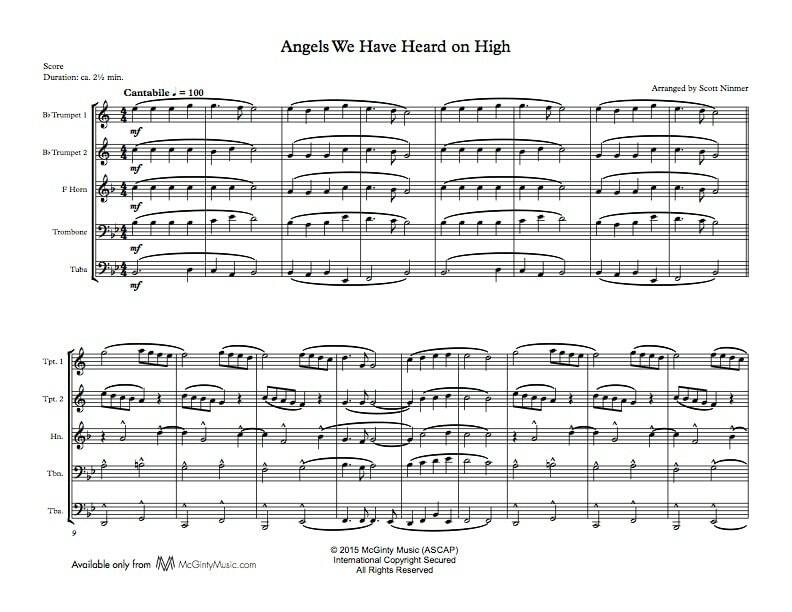 Christmas Songs for Brass Quintet includes arrangements of seven of your favorite carols: Angels We Have Heard On High, Deck the Halls, God Rest Ye Merry, Gentlemen, Hark! The Herald Angels Sing!, It Came Upon A Midnight Clear, O Christmas Tree and O Little Town of Bethlehem. Each carol has a touch of the unexpected that will delight your audience. The mp3 excerpt (used with permission) features the Southern California Brass Quintet playing Deck the Halls. The score is oriented in landscape and the parts, portrait. The Fugue in E-Flat Major (BWV 552) has become known in English-speaking countries as the “St. Anne” because of the first theme's resemblance to the St. Anne hymn O God, Our Help in Ages Past, a hymn that would have been unknown to Bach. 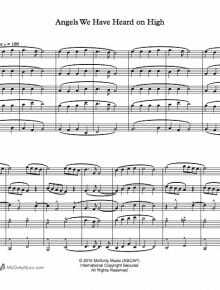 A fugue in three sections of 36 bars, 45 bars and 36 bars, with each section a separate fugue on a different theme, it has been called a triple fugue, although only the first theme is combined with the second and third themes; for that reason the second and third sections are sometimes referred to as double fugues. The number three is pervasive and has been understood to represent the Trinity. The description of Albert Schweitzer follows the nineteenth century tradition of associating the three sections with the three different parts of the Trinity. The number three, however, occurs many other times: in the number of flats of the key signature; in the number of sections; and in the number of bars in each section, each a multiple of 3 x 3. Each of the three themes of the fugues seems to grow from the previous ones. Written for organ, the ranges of each of the five fugal voices works well for the five brass instruments. Articulations and minimal dynamic suggestions have been added to honor the music, to make it sound as it would have sounded if the fugue were conceived for these modern instruments. The tuba can play m. 114 to the end down an octave to sound more like an organ pedal. 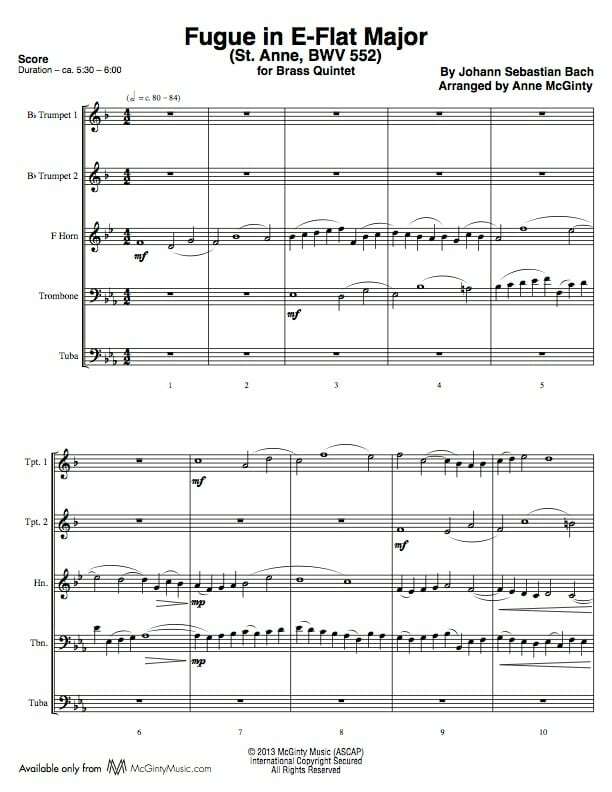 This fugue is available for brass ensemble as well as brass quintet There are Eb trumpet parts included with the brass quintet version. The brass ensemble version has the traditional brass quintet parts, Eb trumpet parts, Eb horn, Euphonium TC and Eb tuba. Heinrich Schütz (1585 – 1672) was a Renaissance composer and is generally considered the most important German composer prior to Johann Sebastian Bach. His compositions show the influence of his teacher, Gabrieli. 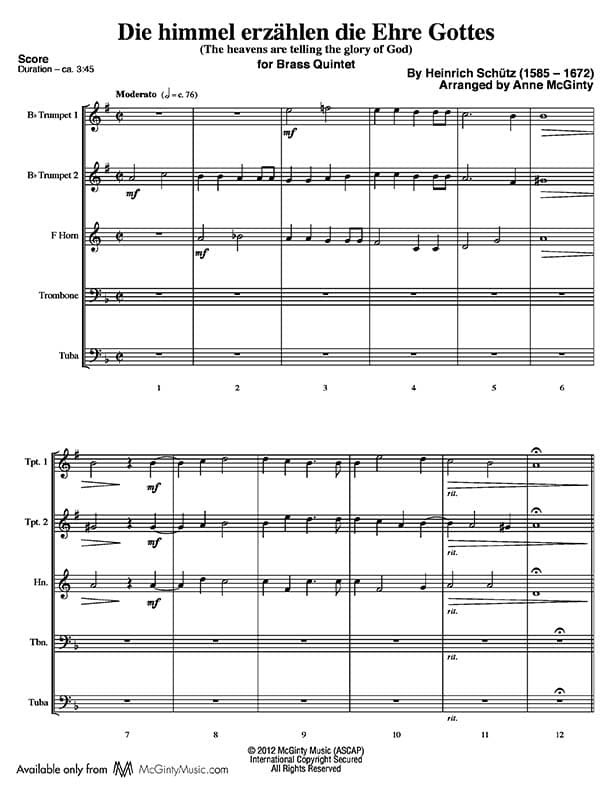 One of the last composers to write in modal style, the text for this piece is from Psalm 19. The title translates to: The heavens are telling the glory of God. 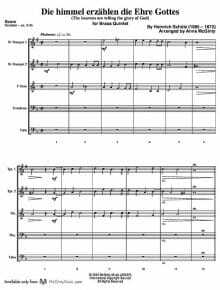 Originally written for six voices, the piece is ideal for brass quintet and will sound glorious in a church or recital setting. 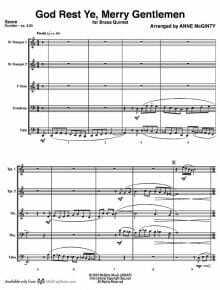 Thanks to the Vista Brass Quintet for sending a recording of this piece. The Vista Brass Quintet features Emily Lawyer and Tim Winfield – trumpet, Anne Marie Cherry – horn, Charles Lilly – trombone and Todd Eames – bass trombone. Beginning simply with solo tuba, the trombone then takes the melody and the tuba adds a chromatic bass line setting the mood of this well known carol. A brief canon leads to the middle section, brighter in tempo, and using fragments of the carol. And then, a rollicking 3/4 version (in one) with the carol joyous and unexpectedly Lydian. Christmas is a celebration of joy and exuberance and this clever arrangement will absolutely delight your audience. 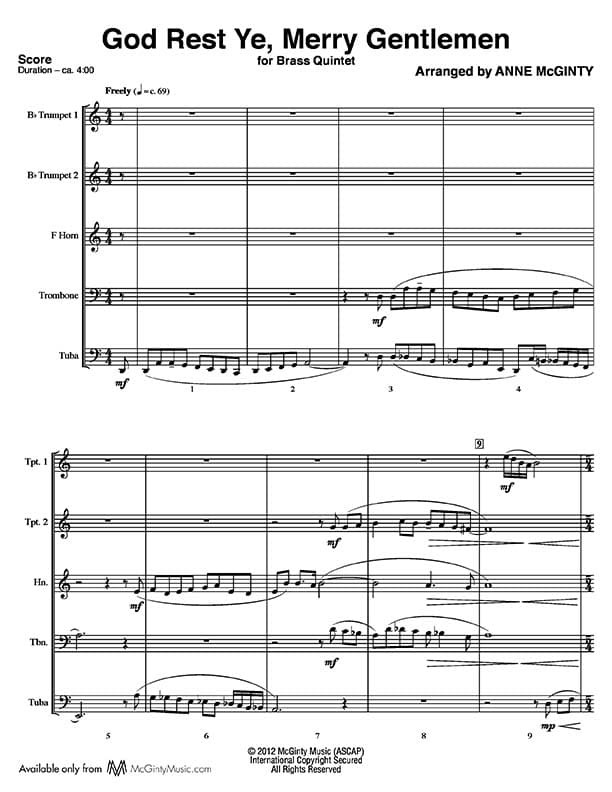 Thanks to the Vista Brass Quintet for recording this piece. My gift to you is the complete recording. Please note that it is under the Hear an Excerpt as there is no charge.